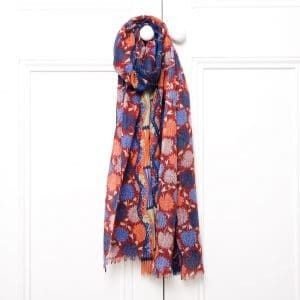 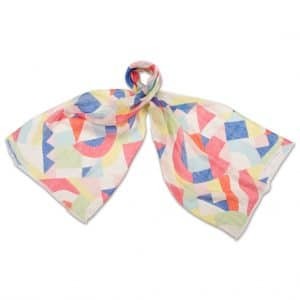 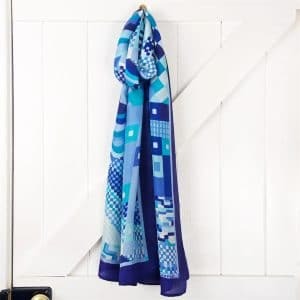 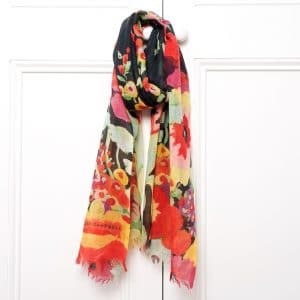 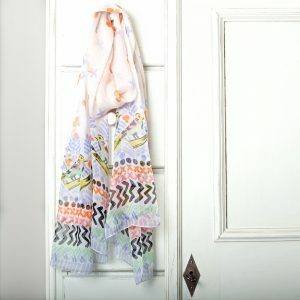 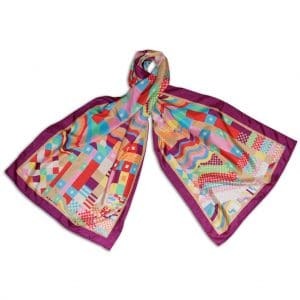 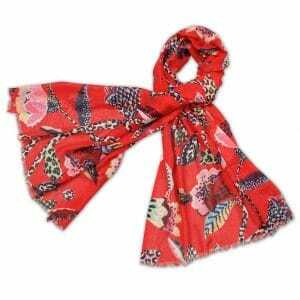 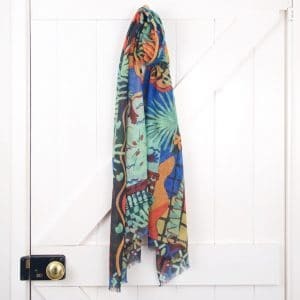 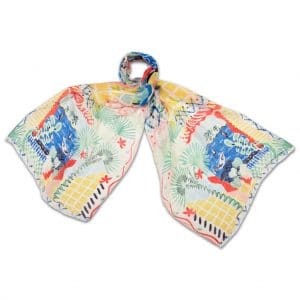 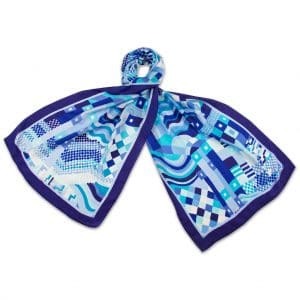 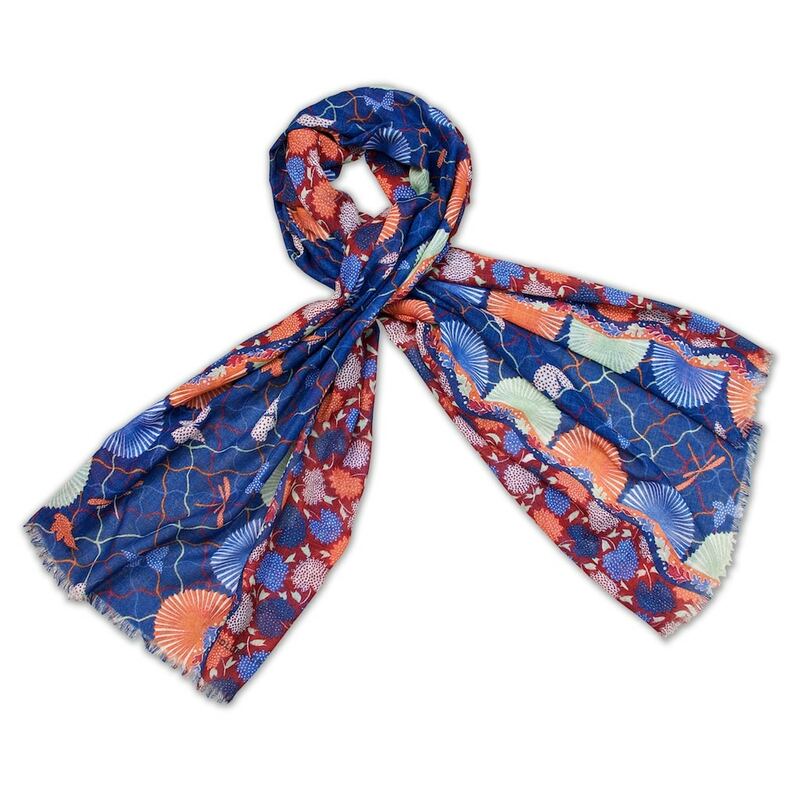 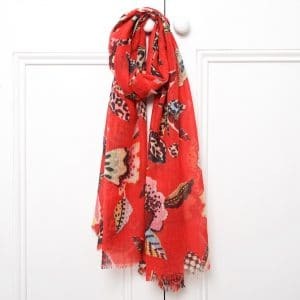 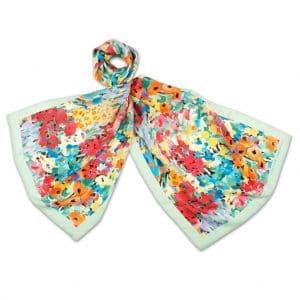 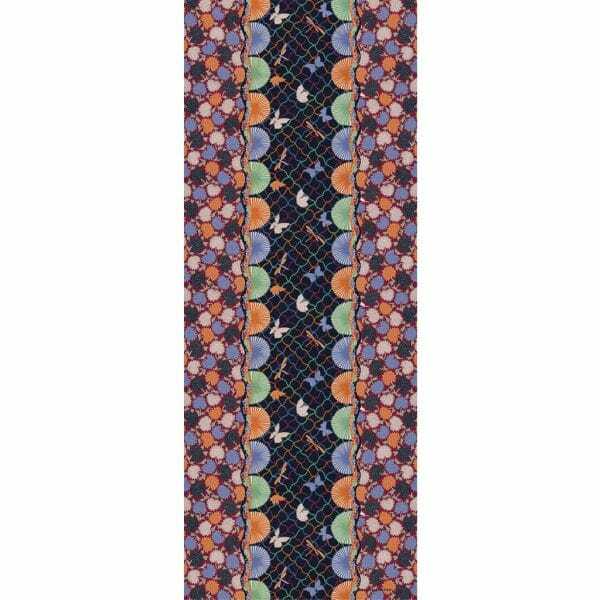 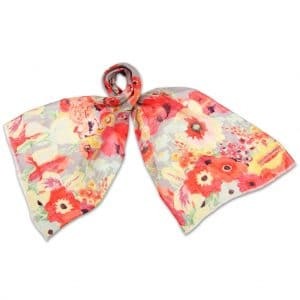 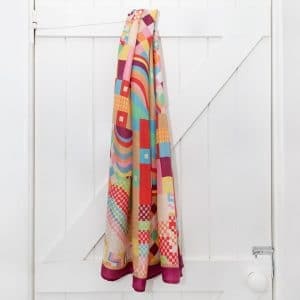 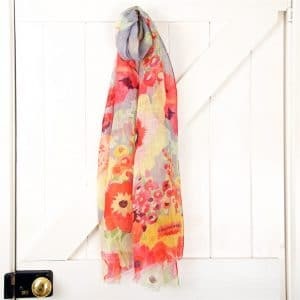 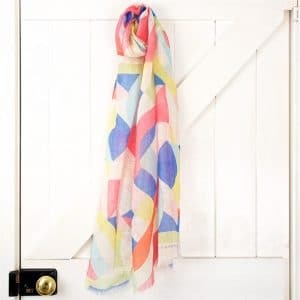 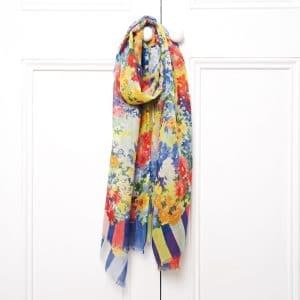 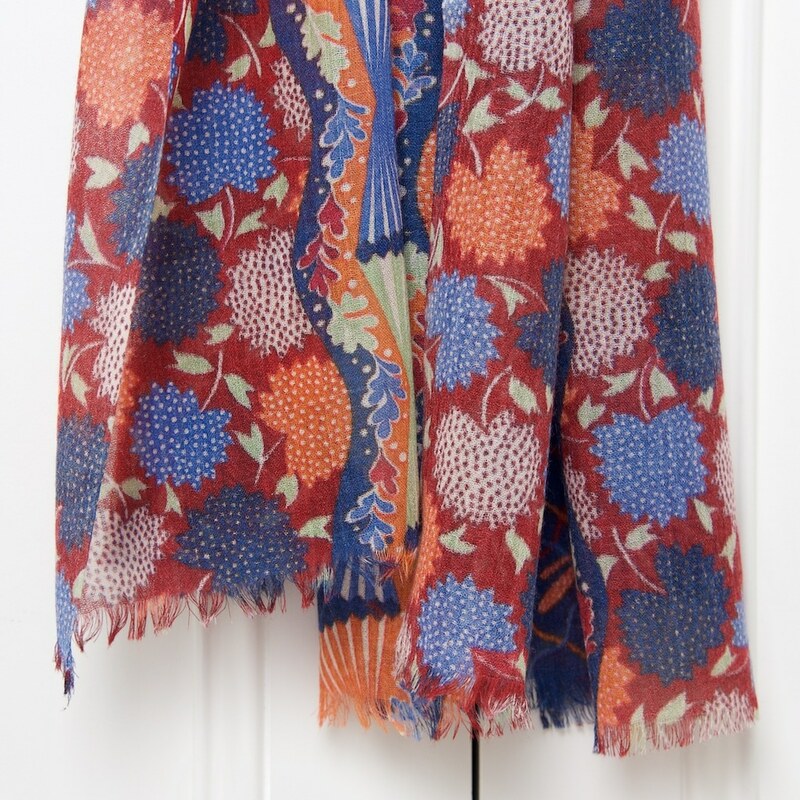 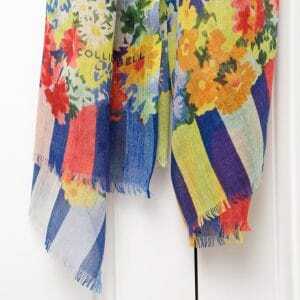 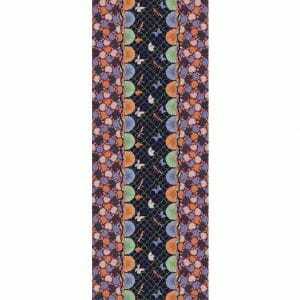 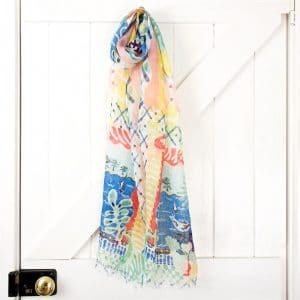 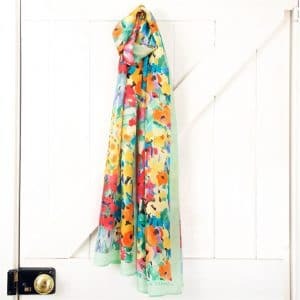 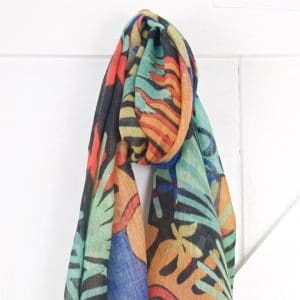 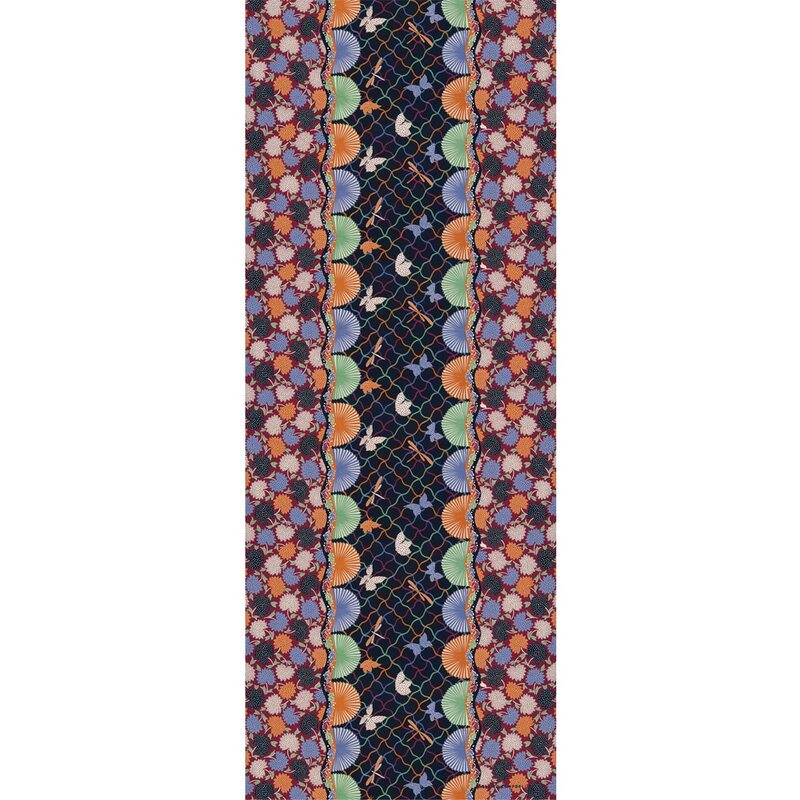 This fine wool scarf draws inspiration from folk images- butterflies, dragonflies and geometric patterns. 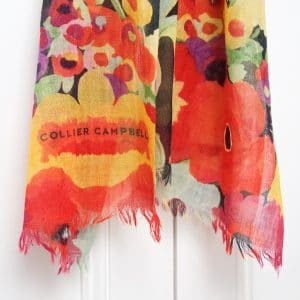 In muted tones of navy, burgundy and amber, with touches of light green and cornflower blue, it has a lightly fringed hem and feels beautifully soft to wear whether as a scarf or shawl. 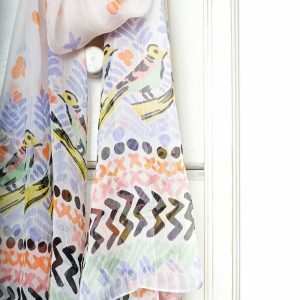 Comes in a dove grey gift box stamped with our iconic Bird on a Branch logo to make a gorgeous Mother’s Day,, birthday or anniversary present.